Mojave, CA, May 08, 2015 - XCOR Aerospace, Inc. announced today that it has bonded the XCOR Lynx Mark I strakes to the Lynx spacecraft fuselage. 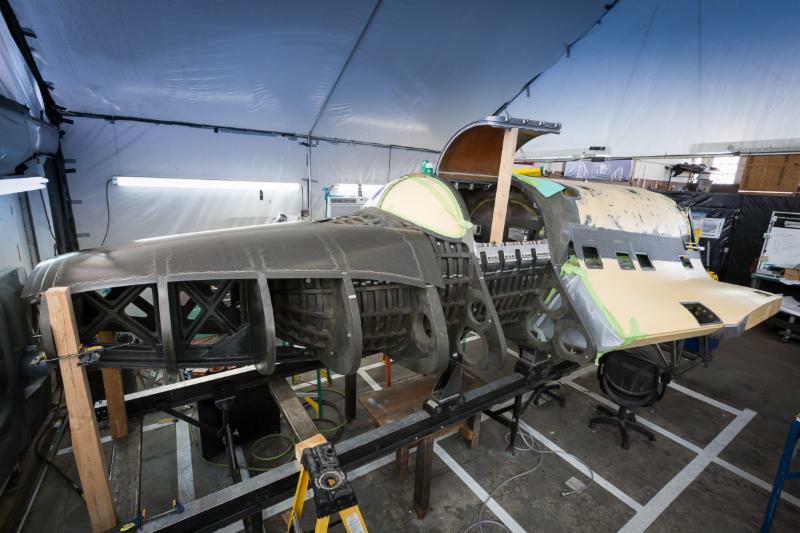 Lynx Mark I is currently being assembled at XCOR's Hangar 61 in Mojave, California. About XCOR Aerospace: XCOR Aerospace® is based in Mojave, California. It is currently building its Research and Development Center in Midland, Texas, and in the future an operational and manufacturing site at the Kennedy Space Center in Florida. XCOR® builds safer, more reliable and reusable rocket-powered vehicles, propulsion systems, advanced non-flammable composites and rocket piston pumps. XCOR works with aerospace prime contractors and government customers on major propulsion systems, while also building Lynx®. Lynx is a piloted, two-seat, fully reusable liquid rocket-powered vehicle that takes-off and lands horizontally. The Lynx-family of vehicles serves three primary missions depending on their specific type including: research & scientific missions, private spaceflight, and micro satellite launch (only on Lynx Mark III). Lynx production models (designated Lynx Mark II) are designed to be robust, multi-mission (research / scientific or private spaceflight) commercial vehicles capable of flying to 100+ km in altitude up to four times per day. Lynx vehicles are available to customers in the free world on a wet lease basis to start their own manned space flight programFor more information on XCOR Aerospace, visit www.xcor.com and follow us on Facebook or Twitter as XCOR.